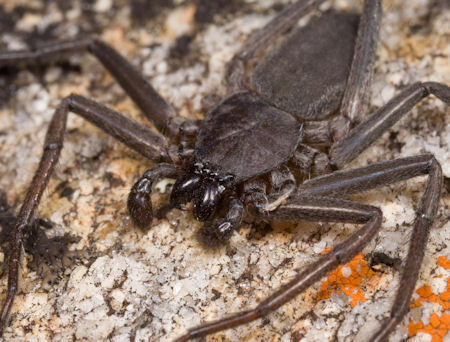 These flat spiders with an ovoid abdomen can be found in the drier parts of Australia. 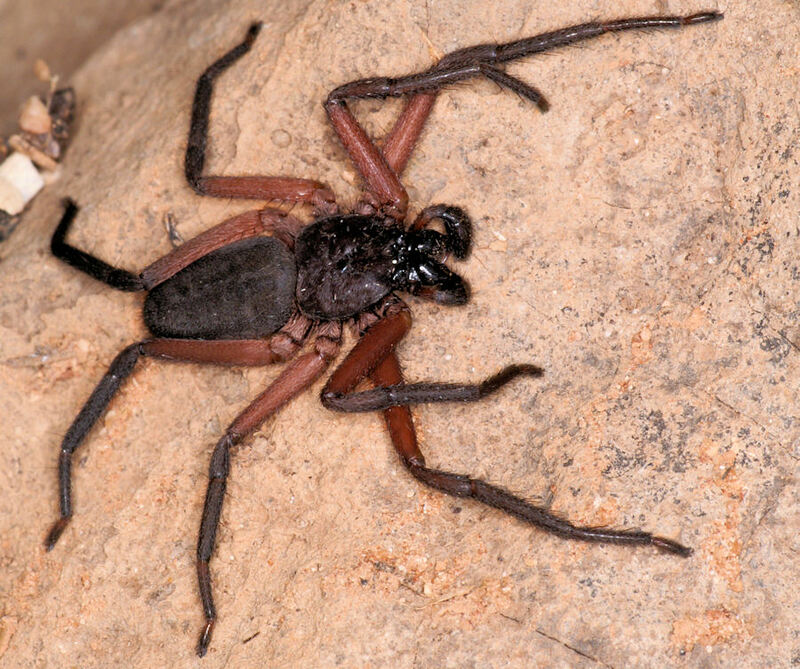 The genus Rebilus is related to this genus and the spider are similiar in appearance. 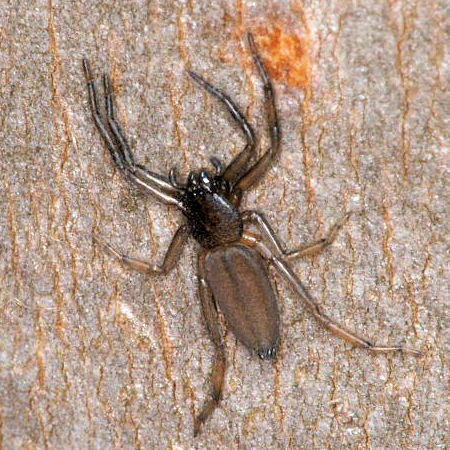 The distinctive difference are the number of spinnerets, Hemicloea has 3 pairs of spinners and Ribelus two pair. 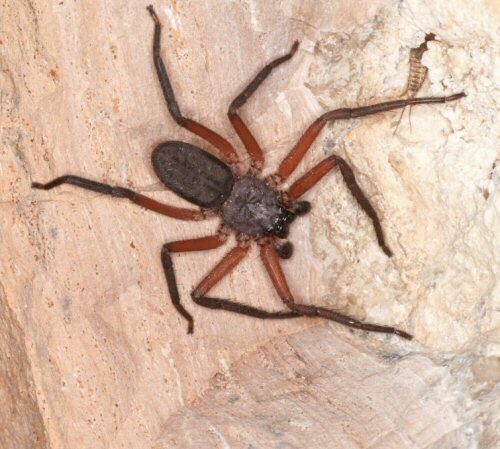 The female spider is 9 to18 mm long, the male is smaller and between 7 - 12 mm. 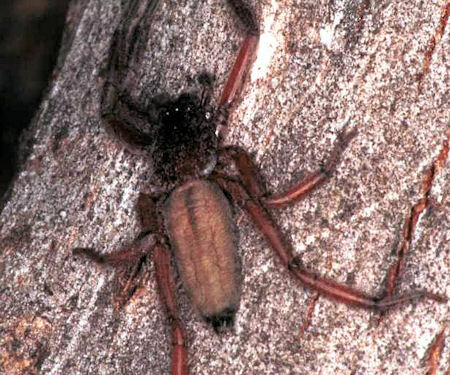 The spider has eight eyes in two rows. 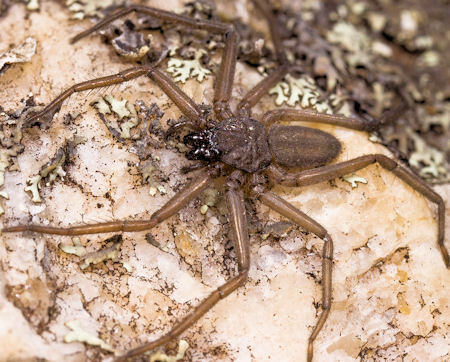 These spiders make a circular white disc as egg-sacs with a diameter of 20 -30 mm. 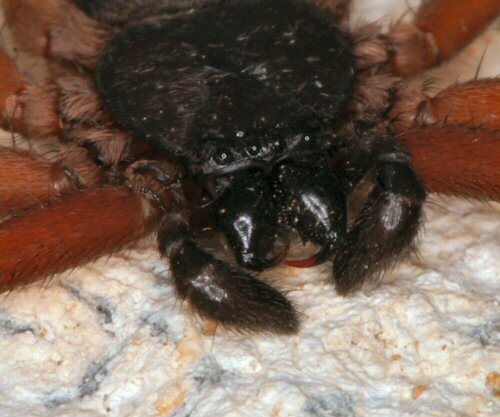 In each of the three or four sacs 50-80, 1.2 mm large eggs, are laid. 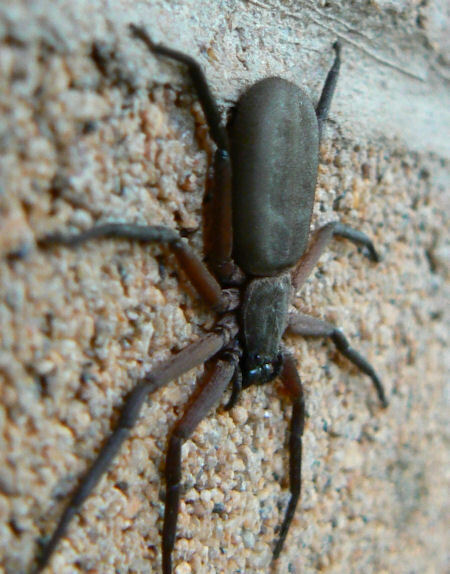 They hide under bark and stones.